Numerous public statements by Superintendent Evers indicate his desire to freeze enrollment and end the programs. This policy stance would result in the closure of dozens of urban private schools in high poverty neighborhoods, many of which significantly outperform their neighboring public schools. Since they were created the Parental Choice Programs have grown from one year to the next. As seats become available, parents have shown a clear desire to fill them. 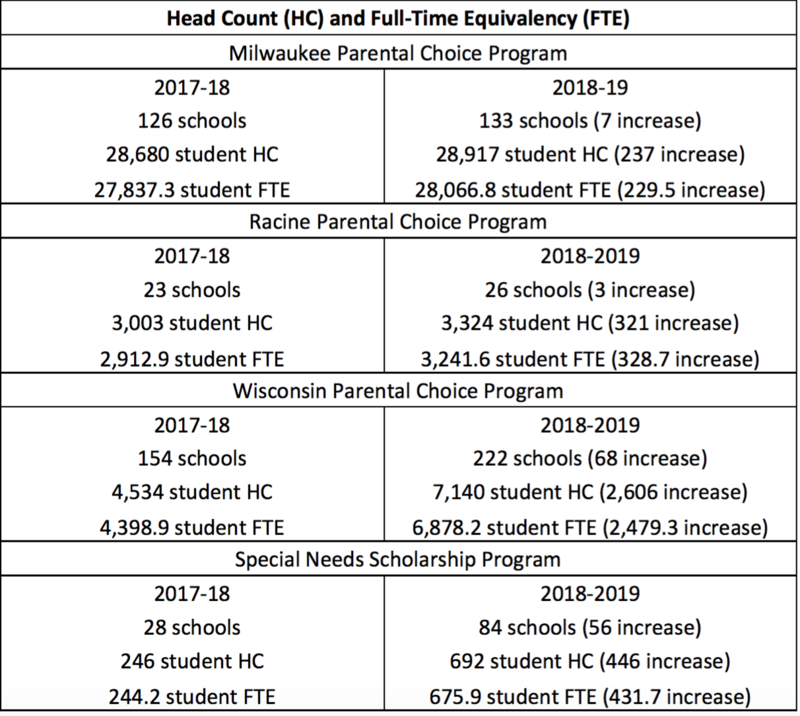 For the Milwaukee Parental Choice Program, that enrollment streak stretches to 29 straight years. Below are the number of schools and students enrolled in the four Parental Choice Programs this fall.